Le Centre Expo Terrebonne now allows you to rent the ArmorDeck floor system used at their biggest events. 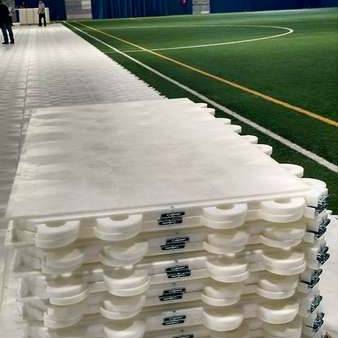 This first-class system can cover rinks, synthetic pitches and exterior area in a simple and efficient way. A user's guide will be forwarded to your service provider. 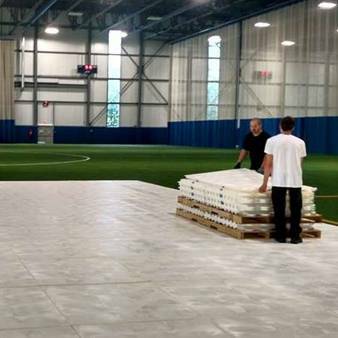 We now offer you the option of renting this protective floor, which can cover an area totaling 80,000 square feet. Removable, modular, expandable tiles designed for custom configurations can support up to 25,000 pounds per square foot. Ideal for all areas, this floor will be perfect for your large projects! Contact us to rent it! A user guide is provided when renting the protective floor.